In continuation of our previous post, “A few dumbest inventions“.. we bring you a few more. Sea-shoes invented by M W Hulton. 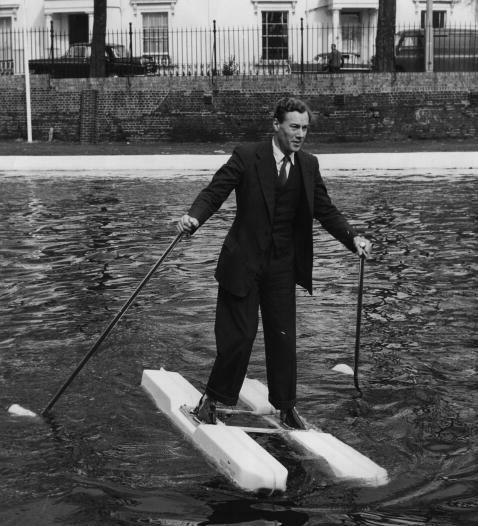 In this picture demonstrating his sea-shoes and duckfoot propellers on the Grand Union Canal, England. Whats next a running race on the sea? Although I cannot really say this is a waste of time. 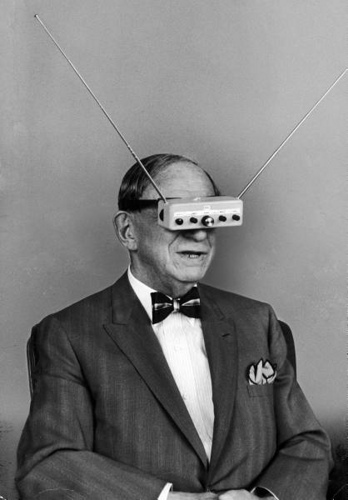 Inventor Hugo Gernsback’s invention might have lead to the virtual reality concept. I think this is very interesting. Made in Japan, this device was intended to scare away rats and mice. 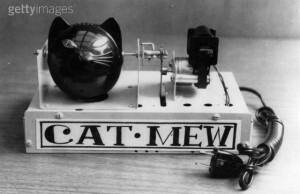 Powered by a two watt motor this mechanical cat can meow ten times a minute and the eyes light up each time. Aparantly it did not scare any rats! 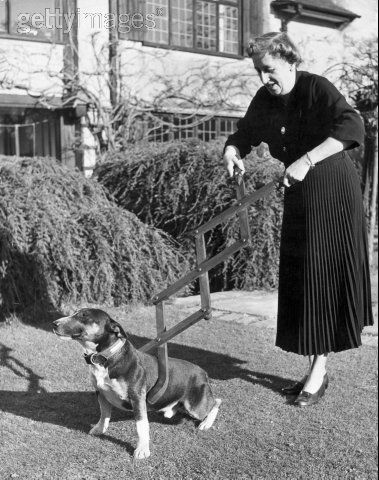 Yes its much easier to use the leash! Interesting cigarette holder for two, well you would need longer cigarettes in this case! We will post more inventions soon, stay tuned and please share your thoughts. QWERTY shoes have better grip? Previous Israel bans iPad imports – Blow to iPad?